Document And Share Your Standard Operating Procedures | Brand On! Successful entrepreneurs know they should work on their business more than they work in their business. That means documenting what you do, and how you do it—and then empowering others to do much of the day-to-day work so you can tackle larger issues. 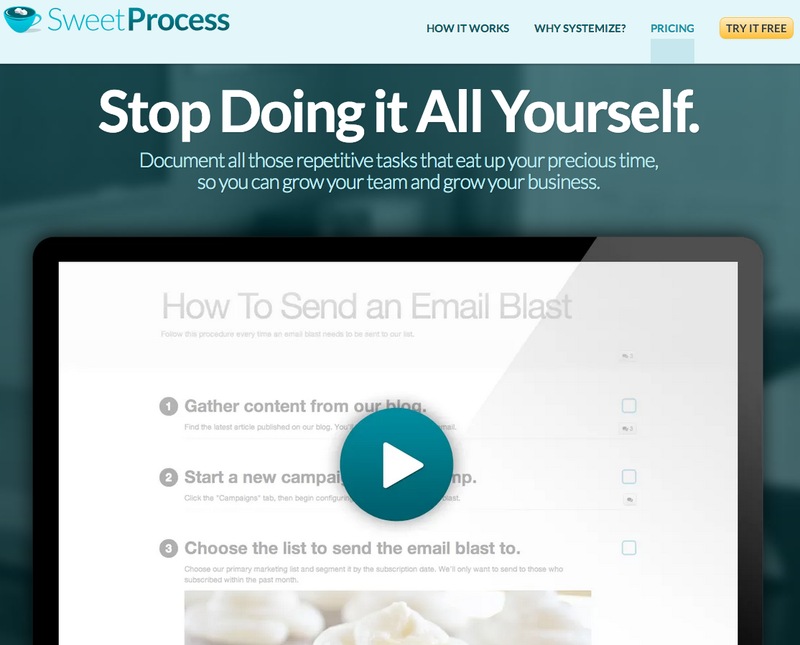 SweetProcess lets you document the repetitive steps you take to get your products and services ready to ship, so someone else can do them. You can do this with “one-off” task lists, or group them together in a sequence. Think of it as an app for all of your Standard Operating Procedures. Now you’re free to focus on growing your business. One of the key benefits of SweetProcess vs. static task lists is the ability to track your teammates’ progress as they work on specific assignments. The most active users of SweetProcess are entrepreneurs with established businesses who have more than three in-house, full-time employees. I also think this is a great tool to use with virtual assistants and freelancers. Cost: $19/$39/$99/month (based on the number of procedures and users). SPECIAL TRIAL OFFER: Sign up free here, then send an email to owen@sweetprocess.com and include the referral code Orange. This will get you an additional 14 days during the free trial, extending it to 28 days.